2019 Places to see my art. Ongoing: Desert Artisans Gallery. 3-D mosaics, many of them functional like trays, vases, etc. Apr 20 (morning): Desert Artisans Gallery Sidewalk Sale 9am-2pm, Tucson, AZ. Feb 2-3: Art Trails Open Studio Tour, 10am-4pm. Visit my home studio! Jan 26-Feb 10: Art Trails Preview Show, Tucson Jewish Community Center. Reception on last day, 2-4pm. Jan 15-Jun 15: TBA location in Nashville, TN. Title: Mineral Park Mine, Kingman, AZ. Oct 31-Nov 15: Tubac Art and Gifts "Trash to Treasure" Exhibition, Tubac, AZ. Title: Spring Rain, West Central Park. Oct 27-28: SAACA Open Studio Tour/South. Blue Raven Art School. Multiple pieces. Competition: Contemporary Art Gallery Online (CAGO) "2018 All Abstract Exhibition" in category of 3-D Mixed Media. Competition: Contemporary Art Gallery Online (CAGO) "2018 All Women Exhibition" in category of 3-D Mixed Media. 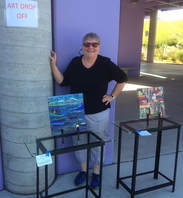 ​Jan 1 - May 31: Artists' Marketplace at Upcycle Tucson. Smaller, affordable mosaics in many styles. 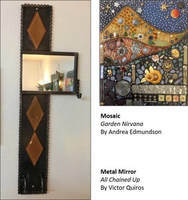 Nov 10-Ongoing: Desert Artisans Gallery. 3-D mosaics, mostly what I call shelf-sitters - they look great on window ledges, with light behind them - like vases, industrial glass pieces, tapestry mosaics, and table top works, like the Glaciers on my home page. Oct 25-Jan 25: Tucson International Airport. Upper Link Gallery, near United Departure Gate, "Pieces of Tucson." 19 two-dimensional (wall hanging) mosaics. Oct 21-22: Art Trails Studio Tour. 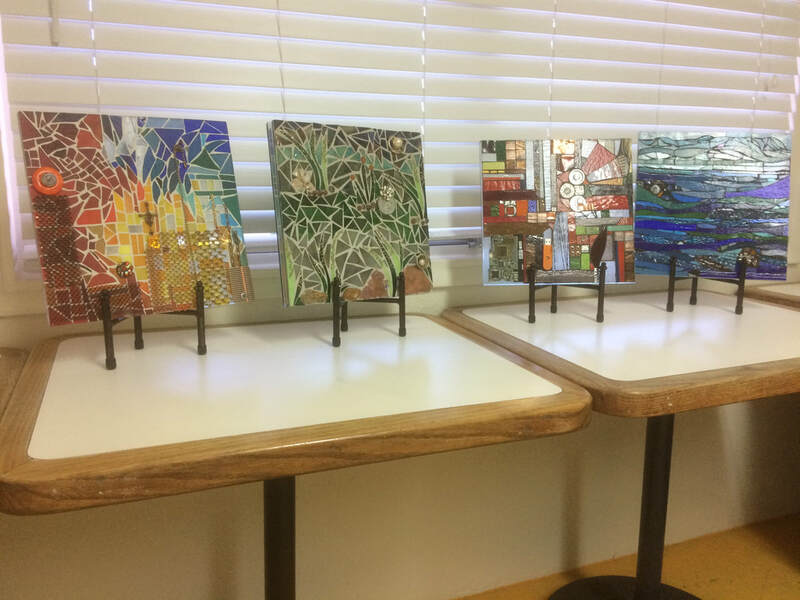 All 30 current mosaics displayed at Upcycle Tucson. Listed under "Upcycle Tucson Founders." Oct 7-8: SAACA Open Studio Tours/South. 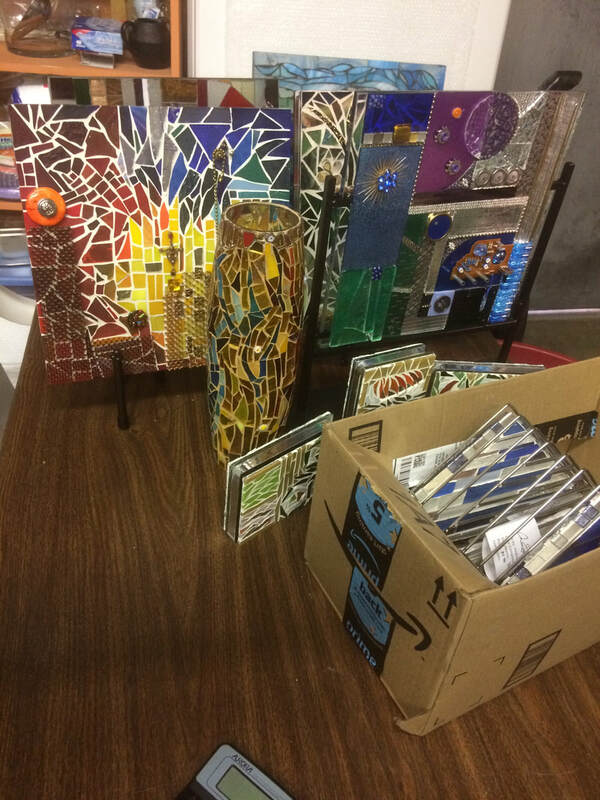 All 30 current mosaics displayed at Upcycle Tucson. Sept 28-18: Art Trails Preview Show. "Rose Mojo" mosaic at Tucson Jewish Community Center. 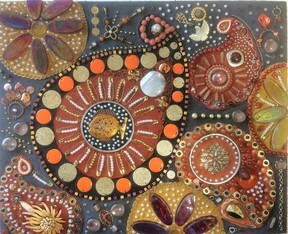 Apr 7-9: RUMBA (Recycled Art Materials Becoming Art) at Tucson Home Show. Jul 25-Oct 5: Cox Communications Private Gallery. Four new works made from upcycle materials. Mar 1-May 15: Cox Communications Private Gallery. Five works made from upcycled materials. Andrea at a SAACA show. Jul 27-Nov 5: Cox Communications Private Gallery. Recycled and Green Exhibit. Apr 21-May: Ventana Medical Systems Private Gallery. Recycled Art Gallery Exhibition. Three table-top mosaics; one wall hanging.